Gay Icons, at the National Portrait Gallery in Central London (2nd July–18th October 2009) will celebrate the contribution of gay people - and the significance of the gay icon - to history and culture. 60 photographs selected by Waheed Alli, Alan Hollinghurst, Elton John, Jackie Kay, Billie Jean King, Ian McKellen, Chris Smith, Ben Summerskill, Sandi Toksvig and Sarah Waters. 'InterLoire, the regional trade body for Loire Valley Wines, launched last night its sponsorship of the upcoming Gay Icons exhibition at the National Portrait Gallery in London from the 2 July until 18 October with an intimate evening for their key wine trade VIPs – the first members of the public to see the exhibition. The ground-breaking exhibition, which will be held from July to October, celebrates the unique, lasting and diverse contribution of gay people to British history and culture. A panel of ten selectors, chaired by Sandi Toksvig, worked to choose six “icons” who may or may not be gay themselves. These icons include Quentin Crisp, Diana Princess of Wales, KD Lang, Pyotr Tchaikovsky and Nelson Mandela. 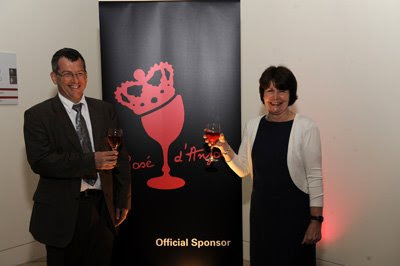 Visitors are given a glass of Rosé d'Anjou at the end of their visit. 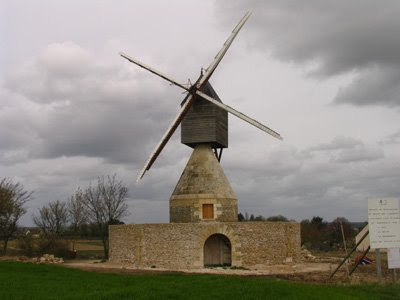 On Saturday afternoon the newly restored windmill that overlooks the town of Bléré was inaugurated. Five years ago the mill was in sad shape – its ruins overrun by brambles. The work cost 330,000€ with help from government and regional funds. 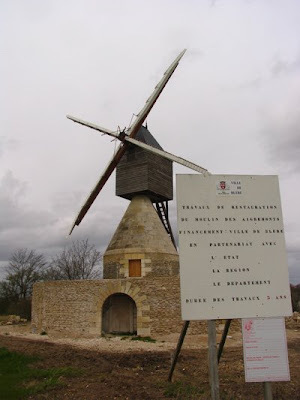 The moulin is on the Route du Loches before you reach the Bléré by-pass. 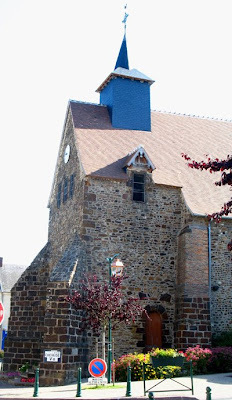 Posting on the inauguration of the restored moulin in 2009. Philippe, le patron of Le Detour in Civray-en-Touraine, kindly gave me this Côt from their neighbour, Claude Aupetitgendre. When we had lunch at Le Detour on 19th June we had enjoyed a bottle of Claude’s Cuvée Les Lys 2005, which is a blend of Cabernet, Côt and Gamay. 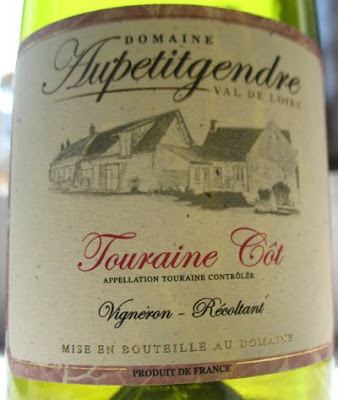 This 2008 Côt is still very young with an intense purple hue and has some concentration of fruit. However, I don’t find this fully convincing as I think there is a hint of reduction on the nose and the acidity is quite marked. I know high acidity is common in 2008 but I wonder whether these grapes could have been picked just a little later and given a better result. I also wonder whether a few months more élévage (maturing) would have rounded out the wine more. But as Claude Aupetitgendre notes on his back label this is a wine that needs to age, so it would be interesting to try again in a year or so. The back label gives the sensible advice that this should be served at 16˚C – I'll bet that if served in a restaurant in the summer the chances are that it will be served too warm. Also the advise is that it can be kept for seven years. 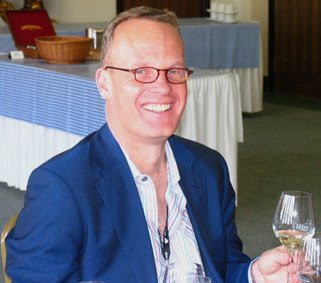 Tim Atkin MW, one of the UK's most respected and successful wine writers, kindly recommends both Richard Kelley MW's Loire and Jim's Loire in his article on the Loire Valley that appeared in The Observer on 21st June 2009. 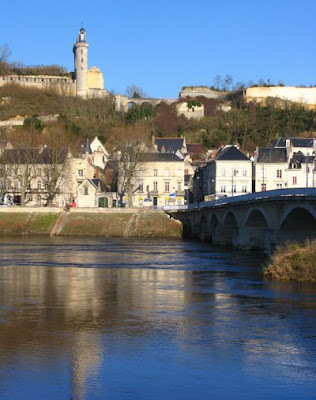 'Making sense of the Loire isn't easy, given the length of the river and the fact that grapes are grown in six separate regions - the Pays Nantais (Muscadet country), Anjou, Saumur, Touraine, the Centre Loire and the Auvergne. There aren't any up-to-date books on the region, but two excellent, insider websites, both written by Brits, are jimsloire.blogspot.com and richardkelley.co.uk. Tim's quite right that the key to understanding the Loire is through the grape varieties used, which in turn are broadly determined by the changes in climate along the length of the Loire. The café-épicerie, Le Lézard Vert, in Epeigné-les-Bois is changing hands with the new proprietors, who are from Paris, taking over from Clémence Bordet in early August. The new owners are from Paris and apparently intend to turn the current café-épicerie into a restaurant, café and épicerie. 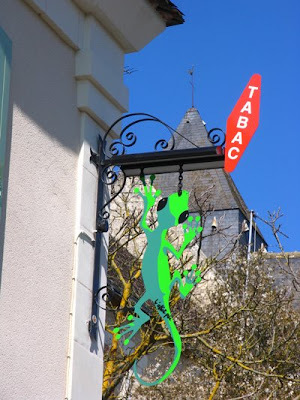 This is potentially very good news for the village as it has been a struggle for Clémence to look after her young son – born in November 2008 – and keep Le Lézard Vert going, while living in Montrichard. Although Epeigné-les-Bois has only around 375 inhabitants, it still has its own café-épicerie, post office and more recently own library. There was a time during the early 1980s that the village shop closed. 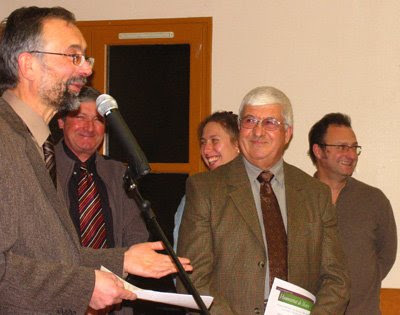 Fortunately the then mayor, Jacky Marchais, and his comité had the vision to set up a shop funded in part by the commune, assisted by regional grants. 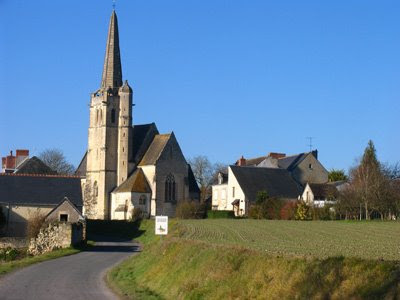 Sadly there are many French villages with no facilities – villages where it must be very difficult to have any community spirit as there are no meeting places; villages where, to get the bread in the morning, you have to drive four or five kilometres to the nearest bakery, depôt de pain or supermarket. A few years ago, when Anita, the long-time owner of the village bar, retired, the commune bought the licence. Otherwise it would have been lost. The village shop was then merged with the café, whose premises were renovated. This news should have resonance beyond the limits of the commune of Epeigné-les-Bois. 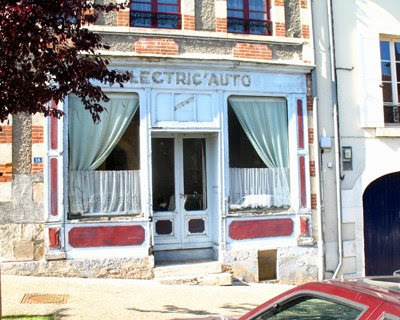 If the commerce of a village dies, the elderly are left isolated as few villages in the French countryside are served by public transport and car use is inevitably increased. Years ago the French government recognised the dangers of rural depopulation, especially in remote areas like the Lozére. I wish the new venture well – it will not be easy but the village needs it to succeed. Further posts once I have more details. 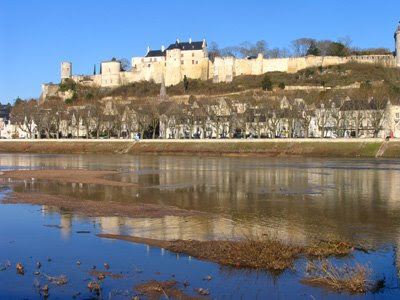 The more time you spend in the Loire, the less you know? This morning I got a message from Bob Parsons of Alberta, Canada. 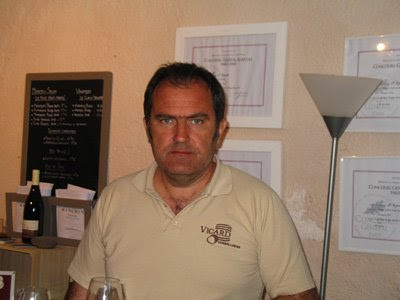 Like me Bob is both a member of Tom Cannavan’s wine forum on his wine-pages site and has a considerable affection for Loire wines. He mentioned the Langlois-Chateau 100% sparkling Cab Franc. I have to admit that I didn’t know that that Langlois made such a wine, which they call Cuvée Carmin. They have certainly never shown it to me on their stand at the Loire Salon (which is not to say it wasn't there) nor on visits to their premises in Saint-Florent. I have drunk the sparkling reds from Gratien-et-Meyer (Cuvée Cardinal) and Bouvet-Ladubay (Cuvée Rubis). Fun and pleasant enough but curiosities. 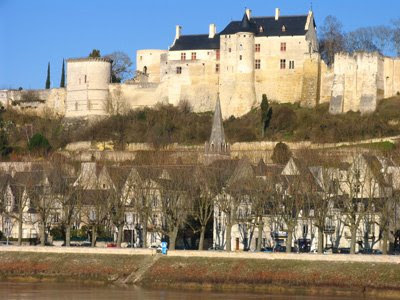 They have to be labelled as a vin mousseux de qualité as there is no appellation for sparkling red Saumur. I have no idea how long Langlois have been making Carmin. Perhaps I had assumed that as Langlois-Chateau is part of Bollinger they were too serious a company to make a sparkling red Loire! Caparisons are odorous, he malapropped wisely. When I read the admonition “Watch out France” I bridle, because I know that some whippersnapper country or region, inebriated on a surfeit of self-administered puffing, is trying to provoke a particularly pointless argument. All this stems from man’s predilection for creating lists, establishing hierarchies and gnawing on statistics like a ravenous capybara. You could drown under a Niagara of Nielsen stats. I am so bored with who is top and who is not. Like politicians at election time, the export boards of each country spin the figures to claim success. Everyone’s a winner. But everyone takes a different relative starting point to develop their respective claims. France is caricatured as the arrogant frog king out of touch with the citizens of his realm; having lived for years in the chateau on the hill he is not aware that the divine right to be number one has been usurped. I'm happy to go along with much of what Douglas says here, especially about the realty of terroir, which should surely be self-evident to any gardener even if they only have a couple of window boxes. To an extent the French bear part of the blame by giving the impression that terroir ends at Calais. Of course, the French producers imported by Les Caves de Pyrène are far too good to worry about competition. Douglas remarks that 'so some of the appellation regulations are a bit bonkers (the intention to protect and promote regionality is a laudable one)'. Again I would agree that protecting and promoting regionality is laudable as is the protection of a name. However, I increasingly believe that some of the most bonkers examples of appellation law has nothing to do with regionality or typicité (whatever that may mean) but is down to politics – down to an established appellation ensuring that newly promoted ACs to do not provide unwanted competition. How else can you explain the bizarre appellation rule for the Coteaux du Giennois that prohibits them from making a 100% Pinot Noir, which had previously been their best red when they were a more humble VDQS? 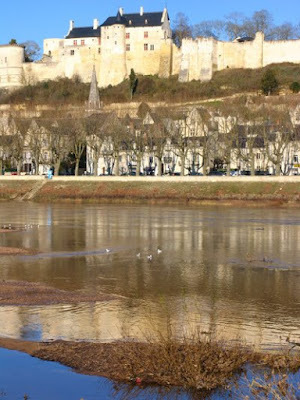 Here are a few photos of Chinon and Crissay-sur-Manse taken on 23rd December 2008, which I have just got round to sorting out. Both places can be wonderfully photogenic, especially when the light is sharp and clear. Stands de produits régionaux et d'artisanats d'art. Spectacle féérique sur échasses par la compagnie Cosmos à 18h30 et à 20h30. Fanfare de l'Espérance de Saint coin à partir de 21h30. Tables de jeux. Details on tel: 02.47.93.53.16 or click here. Report on the visit to Clos Rougeard and tasting with Nady Foucault now complete. I first met and tasted with the Frères Foucault – Charly and Nady – back in early February 1990 just after my first visit to the Salon des Vins de Loire. In those days the Foucaults were rather seen as marginal producers with their systematic use of barriques. The late 1980s and early 1990s were, of course, the time when Saumur-Champigny was fashionable in the bistros, yields were often higher and many producers less ambitious than they are now. 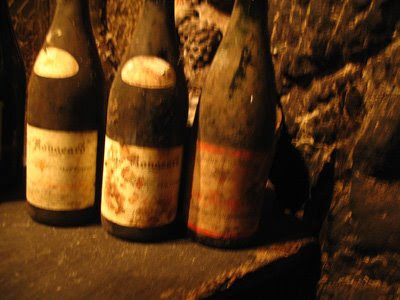 This is not to say that there weren’t some good Saumur-Champignys made then, with some that have stood the test of time – the 1990 Les Châtains, Domaine de Nerleux, 1990 Terres Chaudes, Domaine des Roches Neuves, then owned by Denis Duveau or 1989 Les Folies from Domaine de Val-Brun. 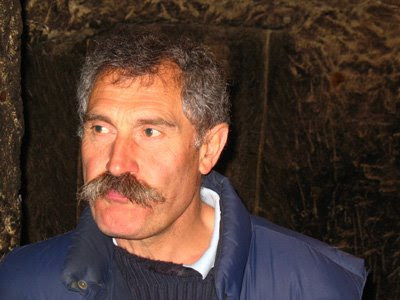 Now the Foucaults are the stars of the region having inspired a generation of younger producers like Jean-Pierre Chevallier (Château de Villeneuve) and Thierry Germain, who bought Domaine des Roches Neuves from Denis Duveau in 1991. Their long-term dedication both to quality and to the methods that their parents used are now recognised. The Foucaults and their wines are hard to find. 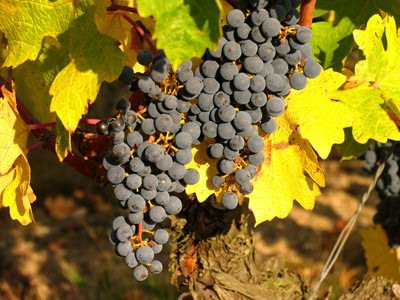 They have only ten hectares of vines and demand easily outstrips supply. 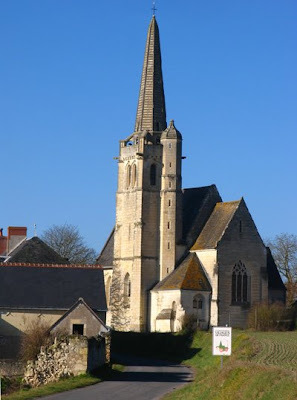 The cellars of the Clos Rougeard and the house where Nady lives with his wife, Anne, are in the village of Chacé, to the south east of Saumur between Varrains and Saint-Cyr-en-Bourg. There is no sign on the entrance to indicate what’s inside. Henri and I go inside – Nady is busy working in his garden. 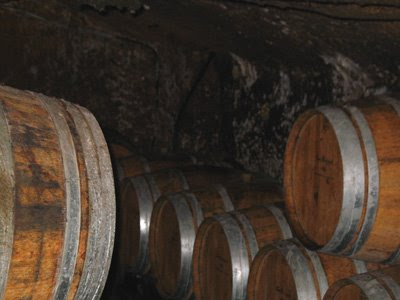 We head down through the small door into the quite extensive cellars that lie below with some 500 barriques. We start with a look at the 2008 Saumur-Champignys in barrel. 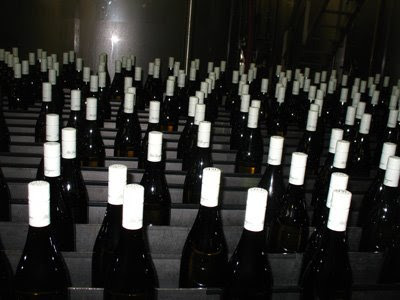 All the reds spend two years maturing and then a further year in bottle before being sold. 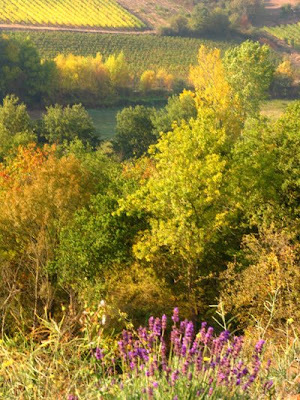 The Foucaults, like a number of other Loire producers, look towards Burgundy for kinship rather than Bordeaux. There are three reds, which Nady equates to the Burgundian cru system, Clos Rougeard (village level), Les Poyeux (Premier Cru – aged in one year old barriques) and Le Bourg (Grand Cru – aged in new barrels for up to 30 months). 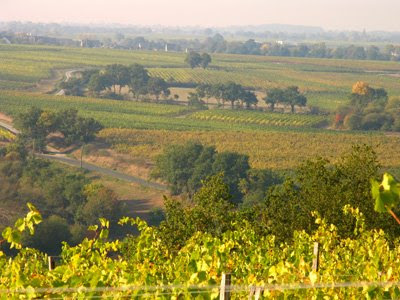 The Foucaults’ ten hectares include just over a hectare of Chenin Blanc at Brézé, where Chenin grows particularly well. The rest is Cabernet Franc broken down into 4.5 for the domaine, three for Les Poyeux on silico-calcaire and a single hectare for Le Bourg. 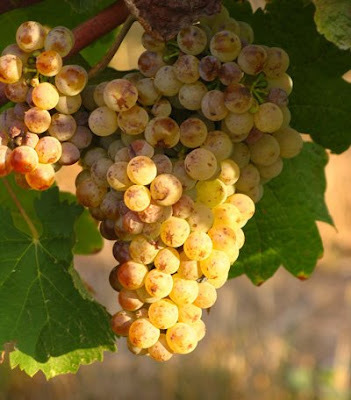 It hardly needs saying that there are no weed killers or insecticides used in the vineyards, that the yeasts are natural and that there is no chaptalisation here. We try various barrels of the 2008s, which are looking promising with rich, bright, attractive fruit. 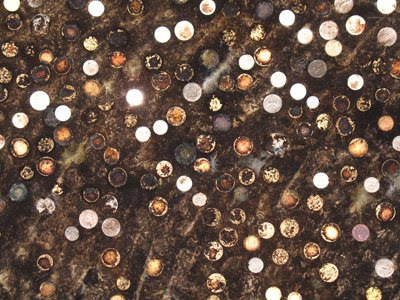 We move to the tasting area where there are a number of coins pushed into the soft cellar wall. 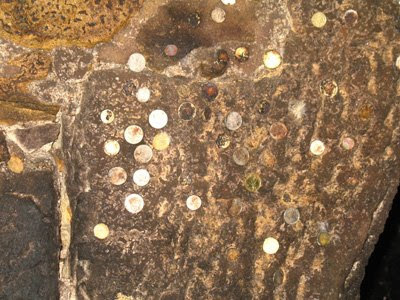 The custom is for first time visitors to the cave to place a small denomination into the wall for luck. Some of the coins go back years to the time of Charly and Nady’s parents. Henri mentions that he has tasted the Foucaults wines before but it is clear that he is including Antoine Foucault’s wines in this. Nady is careful to point out that they are not the same wines. 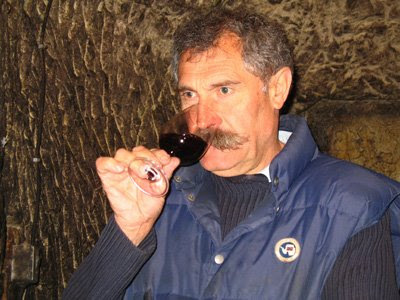 There is unfortunately some tension within the family over Antoine’s decision to go it alone with his own operation – Domaine du Collier. This is a shame as both Antoine and the two brothers are making excellent wines. We start with the 2005 Clos Rougeard – aged for two years in once or twice-used barrels, followed by the customary year in bottle. It has weight with just a hint of animal, though truffle is more pronounced, with good length but a touch dry in the finish. Time will probably smooth that out, while drinking this with food certainly will. The 2005 Les Poyeux is a step up with greater concentration of black fruits, structure with mature tannins and length. The fruit aromas persist in the empty glass. 2005 Le Bourg, which spent 30 months in barrel, tops Les Poyeaux with its rich truffly nose, concentration with touches of sweetness, complexity and lovely texture. There is a lot of potential here – one to cellar for several years. Le Bourg yields 25 hl/ha in 2005, so there are only 2500 bottles available. We have been joined by Charles, who I first met many years before when he was working for the Vignerons de Saint Cyr, the very well run local co-operative. For some reason I visited the co-op with Charly and Nady. At one point we paused to look at a stainless steel mixer. When I asked what it was for, they explained that it was used to mix the sugar and juice together for chaptalisation. “C’est la machine qui fait le soleil” (It is the machine that makes the sunshine), I said as a throw away remark. Much to my astonishment both brothers have always remembered the remark. Next was the delicately animal but harmonious 2004 Les Poyeux, again with attractive texture but with tight tannins reflecting the vintage. Drink this before the 2005s. Then the last red – 2002 Le Bourg – a less concentrated wine but with lovely spice, balance and length. 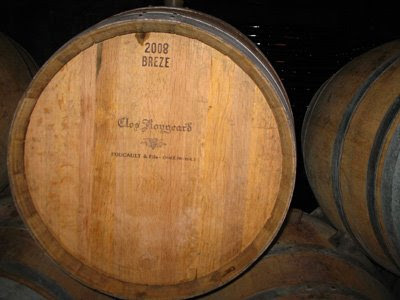 The 2008 Saumur Brézé Clos Rougeard – citric, clean and very precise – is still in new barrels. So on to impressive 2005 Brézé – 13.8% with 2 grams of sugar remaining. Light gold, weight and concentration but it lacks the freshness and vivacity of the 2008. Nady suggests that this makes a good aperitif or to accompany langoustine or white meats. 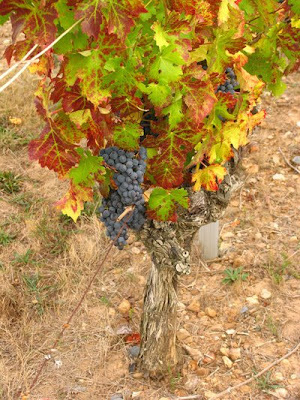 The truffley and textured 2001 Brézé follows – showing some evolution. The very fine 2000 Brézé is a particular favourite of Nady’s. You can see why – it’s younger with lovely texture and precision. Can be enjoyed now but still has a long life ahead of it. We concluded the tasting with a Sauvignon Blanc! Nady’s wife Anne is the daughter of Edmond Vatan, the legendary and now retired Sancerre producer. 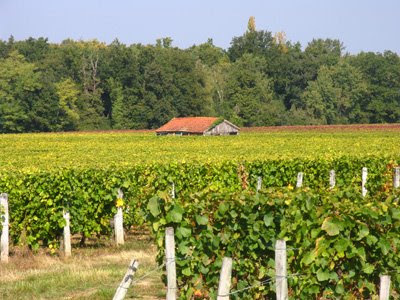 Anne has now taken over the one-hectare Clos la Néare in Chavignol. The gooseberry and mineral 2008 was bottled just a couple of weeks ago, although showing well it needs time to recover from the bottling and will probably taken on more weight with further time in bottle. Clos Rougeard remains one of the Loire’s very top estates. 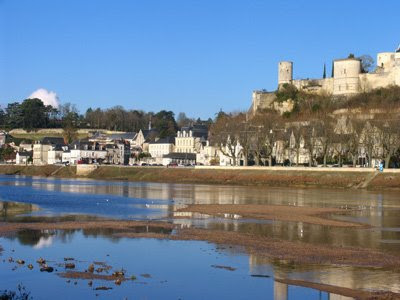 'Les Rendez-vous du patrimoine mondial célèbrent jusqu'au 8 juillet le paysage culturel du Val de Loire, avec un temps fort, samedi à Amboise. Ce sera la fête, samedi 27 juin à Amboise avec l'arrivée à proximité du pont, du radeau « Liger » qui descend le fleuve royal, tel un fil conducteur de ces Rendez-vous du patrimoine mondial. Le programme de la journée comprend plusieurs pôles. Further details here in La Nouvelle Republique. I have been passed another scam email. Unfortunately there are still people who get taken in by these frauds. I recently received an email from someone defrauded by someone claiming to work for Wine Inns Ltd. This new email is from a Peter Rubell, who claims to be a manager of Liberty Wines. 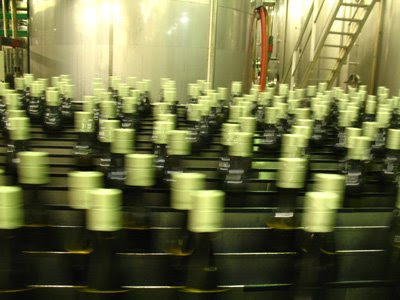 Liberty is a significant and respectable UK wine importer headed by David Gleave MW. You can be confident that Peter Rubell is not an employee of Liberty. As usual the phone number is a mobile. Furthermore companies like Liberty Wines would never place an order for wines they haven't tasted. 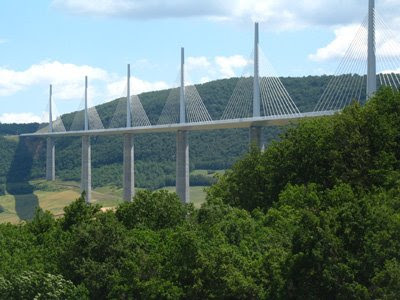 Nous sommes donc dans l'attente de votre réponse de sorte à passer d'éventuelles commandes que nous livrerons dans des complexes hôtelier, restaurants, casinos et bars mais aussi nos distributeurs qui s'étendent sur nos pays de vente. Merci de nous indiquer votre mode de règlement vu le fait que nos règlements sont a 30 jours fin du mois par virement bancaire. Nous sommes dans l'attente par conséquent de vos différents tarifs départ - cave ainsi que de vos quantités disponibles de vos différents millésimes de sorte à ce que nous puissions vous faire parvenir notre bon de commande tout en vous signifiant que nos ventes s'étendent autour de 50000 voir 60000 bouteilles par an. I can imagine this quiz question on a ‘what’s true?’ radio programme: William Page is a) a millionaire stockbroker; b) a baseball star who played for the Boston Red Soxs in the 1950s; c) An Australian born in New Guinea who has run a Michelin starred restaurant in the heart of France for the last 15 years. Working on the principle that the right answer must be the most unlikely, it is quite possible that a savvy guess would be c) and you’d be right. 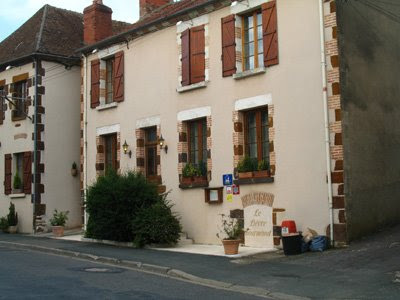 William Page is the chef, owner of a remarkable restaurant deep in the northern Berry – Le Lièvre Gourmand in Vailly-sur-Sauldre, a small traditional town. It would have taken a lot of courage for a French chef to open a high-class restaurant in La France Profonde over 15 years ago – even more if you were an Australian! 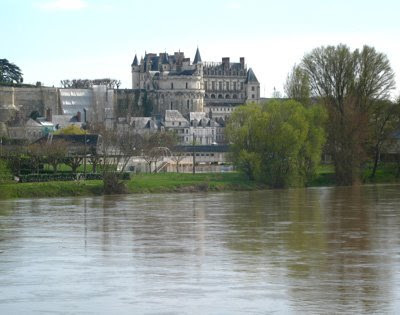 This was long before the A77 autoroute to Paris from this part of the Loire was built. Page bought the premises in the early 1990s and won a Michelin star in 2004 and, perhaps more significantly, 16/20 in the GaultMillau. Le Lièvre Gourmand is a delight. You walk straight into a salon with comfortable armchairs and sofas. Here you choose and enjoy your aperitif and the wonderfully tasty mise-en-bouches with great purity of flavour, while studying the menu and the short well-chosen wine list. It is soon clear that the service is impeccable. We chose the Menu Lièvre at 39€. The other choices were the Menu Lièvre Gourmand 49€ or the Menu Grignotage 59€ or 85€ with a selection of wines by the glass to accompany the menu. The first three courses were stunning – in particular the lovely creamy asparagus soup with its finger of smoked trout wrapped around a piece of endive. The least successful dish was the porc ibérique where some of the pork was a bit chewy and the turnips not cooked sufficiently to absorb the flavours of the pork and the black mushroom. However, the flavour of the jus was intense and delicious. This is very refined cooking without being showy or with unnecessary ingredients. Apparently some locals complain that there isn’t enough on their plate, which is to miss the point. This is not about a blow-out French feast – if you want that go to C'Heu le Zib in Menetou-Salon – also wonderful but entirely different. Although this was the first night Le Lièvre was open after a week’s holiday, all the cheeses we tried were in perfect condition. As an aperitif and for the initial courses we chose Henry Natter’s 2006 Cuvée François de la Grange de Montigny, Sancerre Blanc. Served cellar cool this is currently showing brilliantly – the rich fruit of 2006 with enough acidity in the finish to make you ready to take another sip. For the main course and the cheese we had the 2005 Les Pierris Sancerre Rouge from Roger Champault et fils. It had lovely soft, spicy fruit – very seductive and a reminder that you can find good red Sancerre, especially in years like 2005, well beyond the top rated producers. With one of us driving, drinking two bottles between two would have been excessive, so when we ordered the wines we arranged to take away what we had not finished. At the end of the meal we were presented with two smart bags with the bottles – all very organised. Although we chose two local wines the list is eclectic – naturally some wines from Australasia. Coffee can either be taken in the dining room or back in the salon where the lights have been dimmed creating a more intimate feel. William Page, now around 50, does appear at the beginning and the end of the meal to greet guests and to say goodbye but he is not one of these celebrity chefs who spends their time swanning around their diners. Tall and slim with curly hair, Page is polite but reserved – you sense he is happiest in his kitchen. There is step-free access for anyone in a wheelchair or with reduced mobility, avoiding the stone steps at the front entrance. 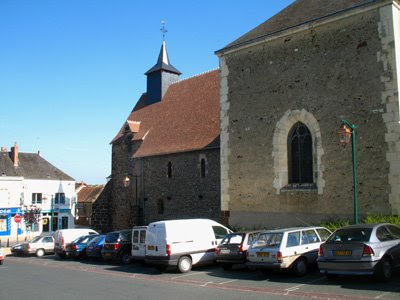 If you are fit, rather than parking in front of the restaurant, it's best to park in the square by the church and walk the short distance to Le Lièvre. 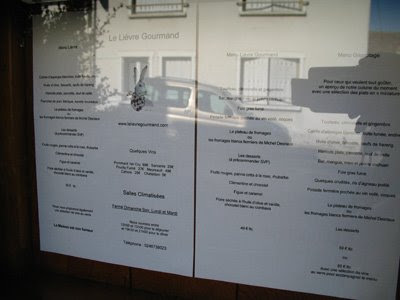 If you are anywhere near Vailly-sur-Sauldre, then do make the effort to go to Le Lièvre Gourmand but ... you need to book as it is understandably popular and doesn’t have many tables. 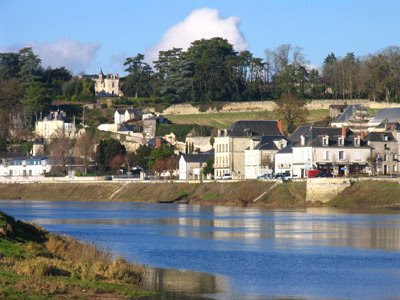 The River Sauldre rises closes to Vailly and then wriggles its way westward through Argent-sur-Sauldre, Salbris amd Romorantin-Lathenay before finally joining the Cher between Selles-sur-Cher and Châtillon-sur-Cher. It is certainly too far to drive back from the Cap d'Agde to London all in one day, so this was a good opportunity to make a first and very belated visit to William Page's famous Le Lièvre Gourmand in Vailly-sur-Sauldre. 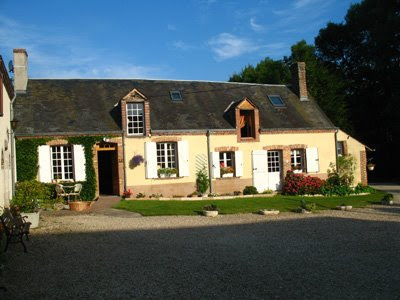 Le Lièvre's website recommended chambres d'hôtes is La Gaudière in the nearby village of Dampierre-en-Crot. 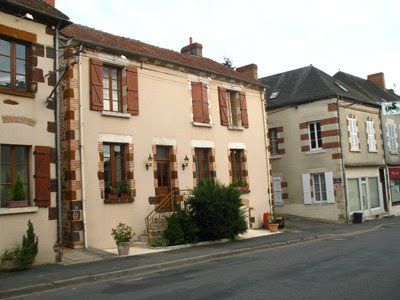 This charming and very peaceful bed and breakfast is just to the east of the little village and is run by Catherine and Dominique Friedlander. 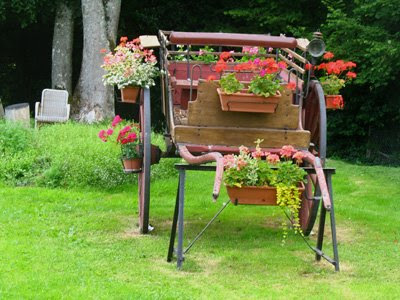 They are another couple who, fed up with the pressures of life in Paris, opted for the peace of the French countryside. They sold up and moved here in August 2003 in the middle of the heatwave. They have created four bedrooms in a converted barn and there is plenty of space to wander around as there are seven hectares attached to the property. 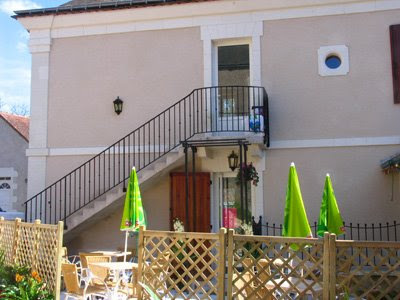 Dampierre-en-Crot is five kilometres from Vailly, so it's just over a five-minute drive from La Gaudière to Le Lièvre Gourmand. For breakfast we had freshly picked cherries from Friedlander's garden along with homemade jams – plum, apricot and myrtille. All of this for 50€ for bed and breakfast for two – remarkable value! Unfortunately their bedrooms are not ideal for anyone with restricted mobility as they are all on the upper floor. 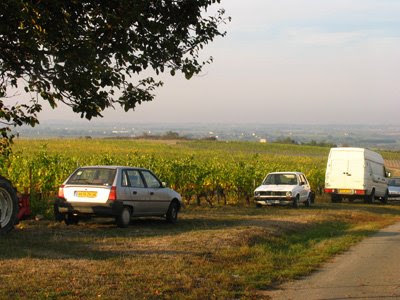 De mi juillet à mi août 2009, à partir de 17h30, un vigneron de l’appellation Touraine vous accueille gratuitement et vous conduit sur les sentiers, à la découverte de la beauté des paysages viticoles et des terroirs. 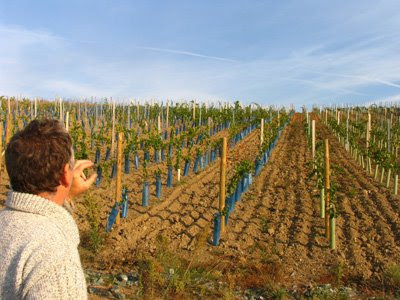 Un arrêt dans le vignoble et vous partagez la passion du métier le temps d’une explication. Enfin, après la visite du chai, vous appréciez la dégustation des vins de Touraine accompagnés de spécialités gastronomiques. Have now finished the report on my visit to Jerôme Billard (Domaine de la Noblaie, Chinon). Spent the morning sorting out photos including these taken in the Coteaux du Layon in October 2005 plus one further north in the Lebreton's Croix de la Mission at Saint-Jean-de-Mauvrets. The weather was magnificent and I had never seen producers so relaxed during the harvest able to take their time and pick the fruit just when they wanted. Last week the French Senate ratified the amendment to Le Loi Evin legislation passed earlier on this year in the French Assembly to permit wine and other alcoholic beverages to be promoted and sold on the internet. This ends a long running anomaly as French judges assumed that as the internet was not mentioned in the original legislation – the Loi Evin was passed in 1991, before the internet really took off – that mention of alcohol on the net was banned. 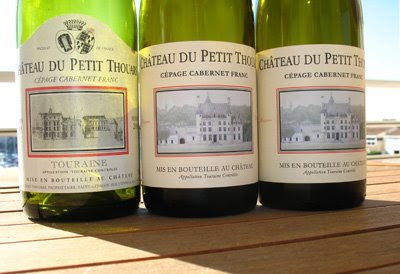 It was a bit of a saga getting the samples from Château du Petit Thouars delivered to me in the Loire – one attempted delivery when I wasn’t around in April and then one of two packages apparently stolen from the courier’s warehouse. Anyway I have now tasted the wine sent. 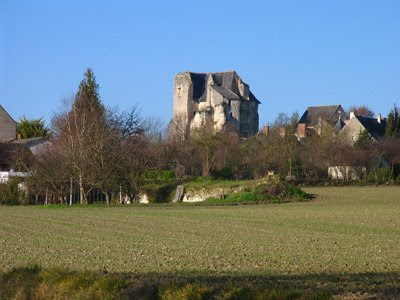 The Château du Petit Thouars is in Saint-Germain-sur-Vienne not far outside the Chinon appellation. A few years back the producers in this part of western Touraine applied to be included in the Chinon appellation but were turned down. Certainly the three reserve reds – 2003, 2005 and 2006 – I tried were Chinon-like and in each case true to their vintage. I fancy blind it would be difficult to pick them out from a range of Chinons. The 2003 is typical of its year – ripe, concentrated, pruny and figgy fruit with some gamy tones. It does, however, have enough freshness in the finish to stop it from being cloying. It went very well with a meaty grilled tuna steak. The 2005 is quite tight but has potential with good concentration of smoky black fruits – best to keep this a couple of years for it to show its best. The gamy 2006 is less concentrated, more open with more acidity. Ready to drink now while waiting for the 2005. It went well with a slow roasted shoulder of lamb. I found the austere and bracing 2008 Thouars Rosé with its notes of red fruits and rhubarb less attractive – it could do with more fruit. It’s a rosé de saignée – so the juice for the rosé is bled off the red wine tanks helping to concentrate the reds with rosé being somewhat of a by-product. 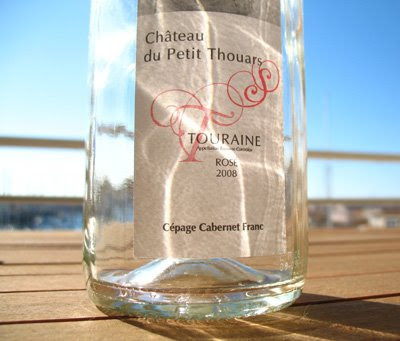 I fancy that Thouars would make a better rosé if they dedicated specific vineyards for their rosé and then either pressed the grapes immediately after picking or allowed a short maceration to get a more coloured rosé. I also tasted their creamy and nicely balanced Crémant de Loire and the sparkling rosé, which should appeal to many, although I found it a little too sweet. I would prefer a slightly lower dosage. Overall the three reserve reds were the best wines. Étant situé au Royaume Unis, nous voulions savoir si vous faites de la vente à l'export. Nous sommes dans l'attente par conséquent de vos différents tarifs départ - cave ainsi que de vos quantités disponibles de vos différents millésimes de sorte à ce que nous puissions vous faire parvenir notre bon de commande tout en vous signifiant que nos ventes s'étendent autour de 50000 voir 60000 bouteilles par an de tous nos millésimes. The phone and fax are both mobiles and the email is a hot mail address. It is always surprising how quickly a bad cork will destroy a wine. 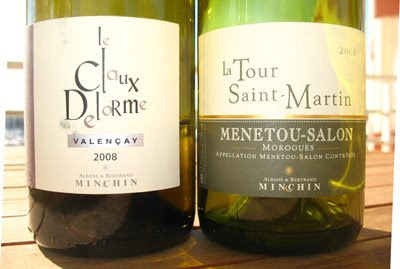 Last night I was looking forward to tasting and enjoying a bottle of Albane and Bertrand Minchin’s 2008 Menetou-Salon white. 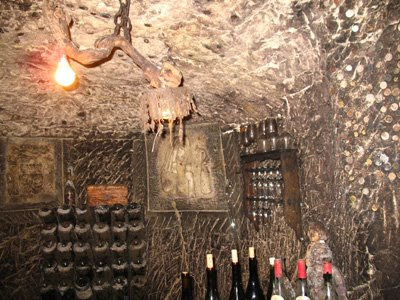 It was not to be – a badly corked bottle and this Menetou-Salon had only recently been bottled. Time enough for the malodorous cork to have done its worst and completely stuffed up the wine. Fortunately I had a bottle of Albane and Minchin’s 2008 Le Claux Delorme, Valençay. 100% Sauvignon Blanc this is deliciously citric and zippy and was perfect with some large prawns and garlic chips. The resolute stare Bertrand uses on suppliers of bad corks! 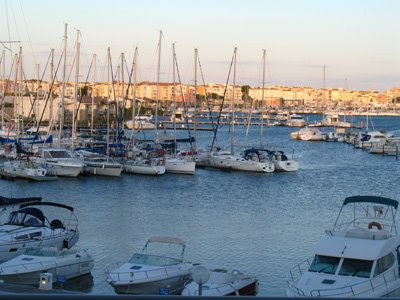 Heading south from the Loire yesterday for a brief sojourn in the Midi, staying in a flat at Cap d'Agde. 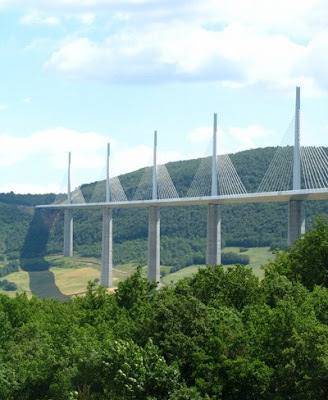 Took the autoroute A71/A75 to come down, so crossed over the amazing bridge at Millau. Have brought some Loire samples (especially La Tour Saint-Martin and Château de Petit Thouars) with me, so there will be notes on these wines plus I have plenty of other reports to write up.